What I warn you to remember is that I am a detective. Our relationship with truth is fundamental but cracked, refracting confusingly like fractured glass. 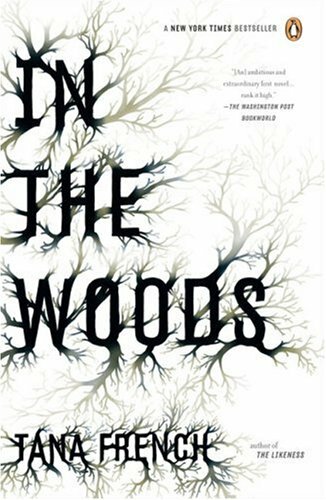 -- In the Woods by Tana French. What a great beginning! Nothing like the unreliable narrator telling you he is unreliable from the get go. I took the picture earlier this week, when we had snow here in Portland. Hunt gave me a wounded look. "Absence of evidence is not evidence of absence," he told me reproachfully. I want to remember that line for my upcoming trial! I kept walking towards my car but I felt like I was sinking in quicksand, my eyes and mouth wide open, my heart feeling as if it was in a vice. What did it mean? 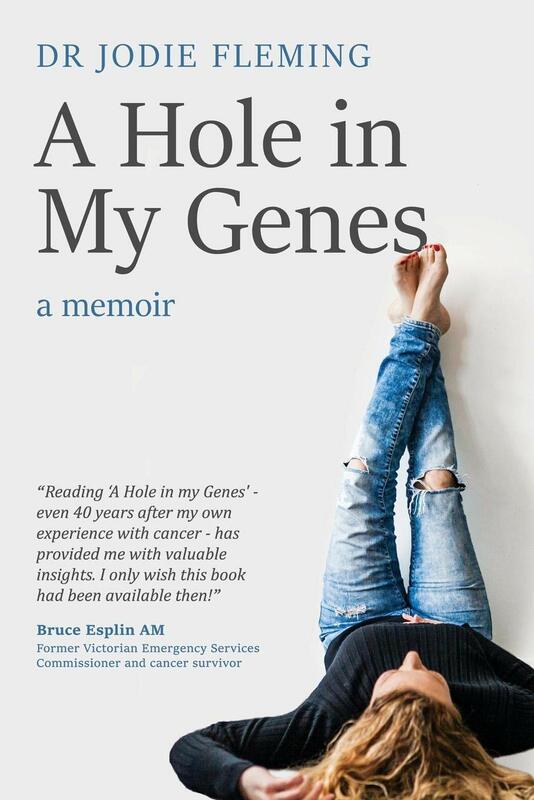 A Hole in My Genes by Dr. Jodie Fleming. A new memoir about the author's fight with cancer, made particularly poignant because Fleming is a psychologist who worked with cancer patients, had cared for her husband with testicular cancer eight years prior, and whose diagnosis came exactly one month after the end of her marriage. What books came into your house last week? I got a stack of books from Booktique, my favorite Friends of the Library store. Zari found an empty seat in a half-filled row near the front of the conference room. The latte she’d downed at the Amsterdam airport was still buzzing through her veins. Mira's Way by Amy Maroney. 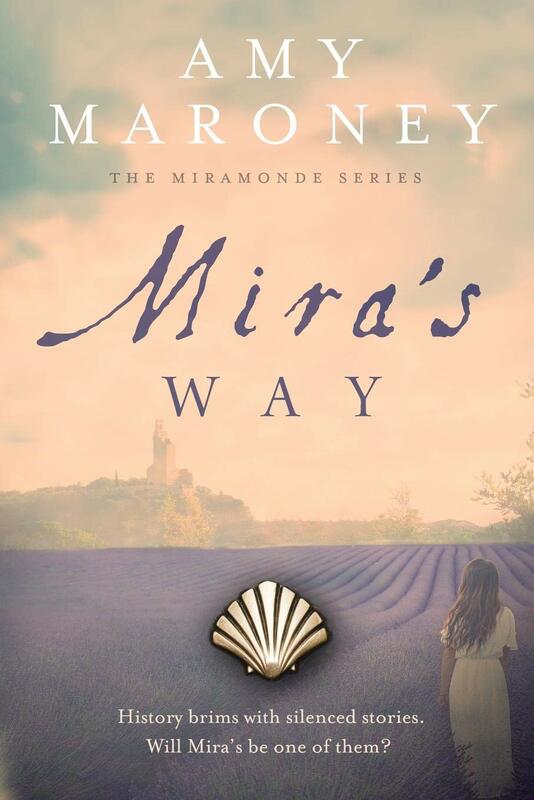 This is the second book in Maroney's historical fiction Miramonde Series about a female Renaissance artist and the modern-day art historian on her trail. SOCIAL MEDIA: If you are on Twitter, Instagram, or other social media, please post using the hash tag #BookBeginnings. I try to follow all Book Beginnings participants on whatever interweb sites you are on, so please let me know if I have missed any and I will catch up. Well, darn it. I don't have the book in front of me to find a teaser from page 56. I thought I tossed the book in my basket this morning, but I forgot. Here is a teaser from page 8, which is as far as I can get on the "Look Inside" feature on Amazon. Sorry! I need to beg a little kindness -- it's been a hair-on-fire kind of week. He gave a short, dismissive laugh. "Our theories have nothing in common." When we went into work the next morning we were friends. It really was a simple as that: we planted seeds without thinking, and woke up to our own private beanstalk. -- In the Woods by Tana French. I've been meaning to read this for years and my book club picked it for our next book so I finally got around to it. It is the first book in French's Dublin Murder Squad series. A Hole in My Genes by Dr. Jodie Fleming. This cancer survivor memoir is particularly compelling because the author is a psychologist who, before her own breast cancer diagnosis, specialized in "psycho-oncology" counseling cancer patients. Mira's Way by Amy Maroney. This is the second book in Maroney's historical fiction Miramonde Series. I just finished the first book, A Girl from Oto and absolutely loved it. Read my Rose City Reader interview of Amy Maroney. What books came into your house last week? They say that you can’t go back, that it’s better to keep the past in the rearview mirror. That may be true, but lately it felt like my past was creeping into everything I touched. 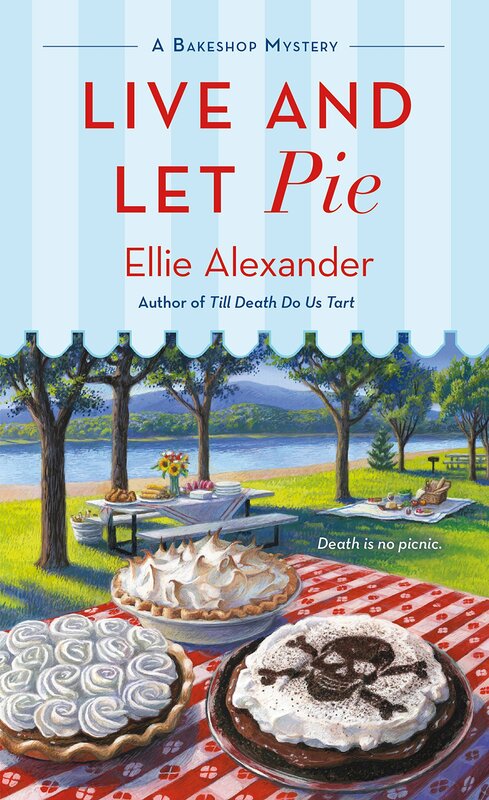 -- Live and Let Pie by Ellie Alexander. This latest cozy Bakeshop Mystery finds pastry chef, cafe owner, and amateur sleuth Jules Capshaw unearthing a vintage skull at a picnic and a conveniently dead landlord. Everything in Ashland was within a ten-minute drive. And aside from the occasional backup on Main Street during the height of the tourist season, the only time traffic came to a stop was when a herd of black-tailed deer were crossing the street. The Bakeshop Mystery series is set in Ashland, Oregon, home of the Oregon Shakespeare Festival and Blackstone Audio, among other delights. 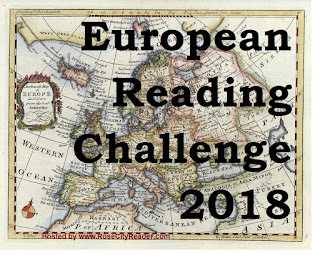 2018 European Reading Challenge Winner Announced! 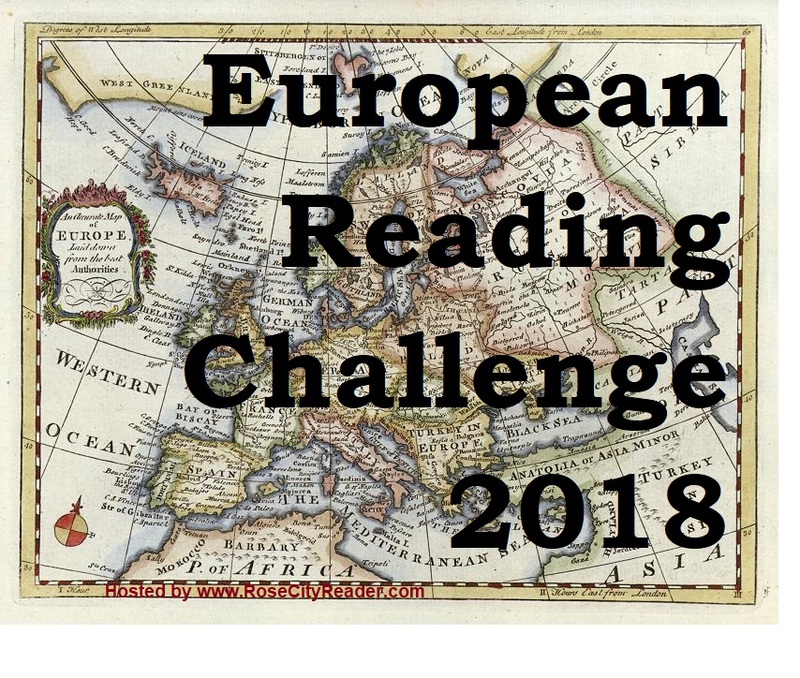 2018 was the seventh year for this challenge, which involves reading books set in different European countries or written by authors from different European countries. Big thanks to all the participants who joined me for the Grand Tour! The 2018 Jet Setter prize goes to Reese at Typings who visited 16 different European countries reviewed the books she read. Her wrap up post has links to all her reviews. My own wrap-up post is here. I read 13 books from different European countries, although only three were translations, which is backsliding from the year before. But again, I didn't review any of the books I read because last year was crazy busy for me at my law practice. Congratulations to all the readers who completed the challenge! There is still plenty of time to join us in 2019. Sign up HERE for the 2019 Challenge. I got a few fun books for my birthday this weekend. What new books came into your house last week? 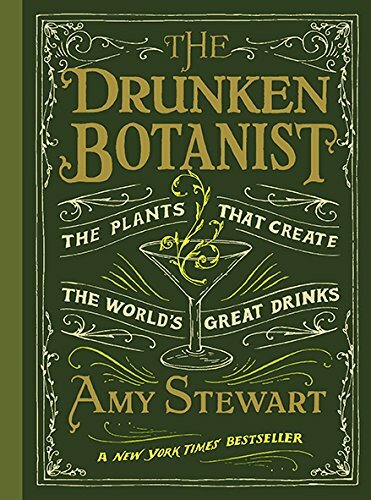 The Drunken Botanist: The Plants that Create the World's Great Drinks by Amy Stewart. My friend saw a comment I left on Instagram about wanting this book and remembered it for my birthday -- how nice was that! 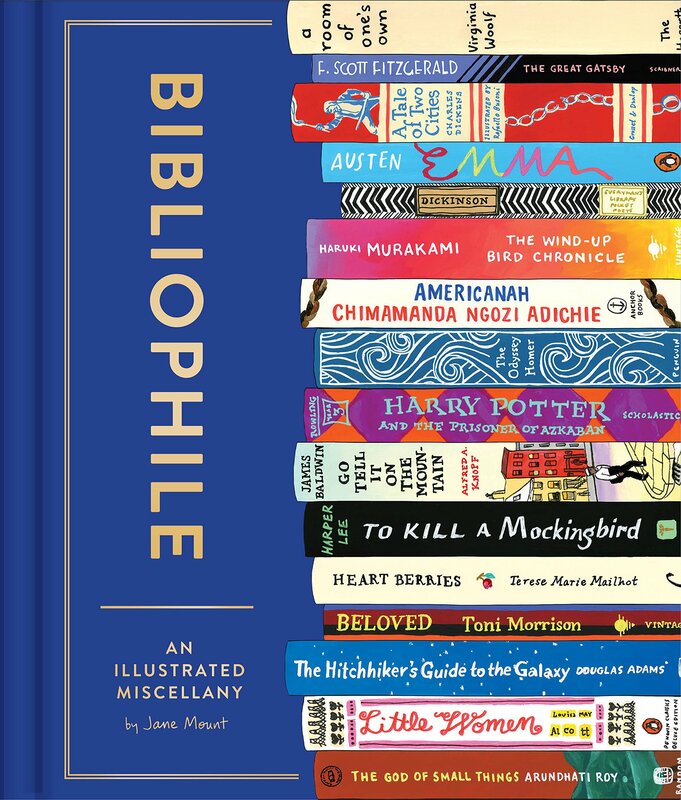 Bibliophile: An Illustrated Miscellany by Jane Mount. The same friend got me this one, just because she knew I would love it, which I do. Pretty illustrations and book lists -- there's a combination I can't resist. The Counterlife by Philip Roth. Hubby went back to the well, as he says, and got me another fancy Franklin Library edition of a Philip Roth book. He knows I like them, so when he gets stuck for gift ideas, he heads to eBay. Whenever Paul qualified for the US Open, his parents, his big brother, his two sisters, their various kids, traveled to New York to watch him play. 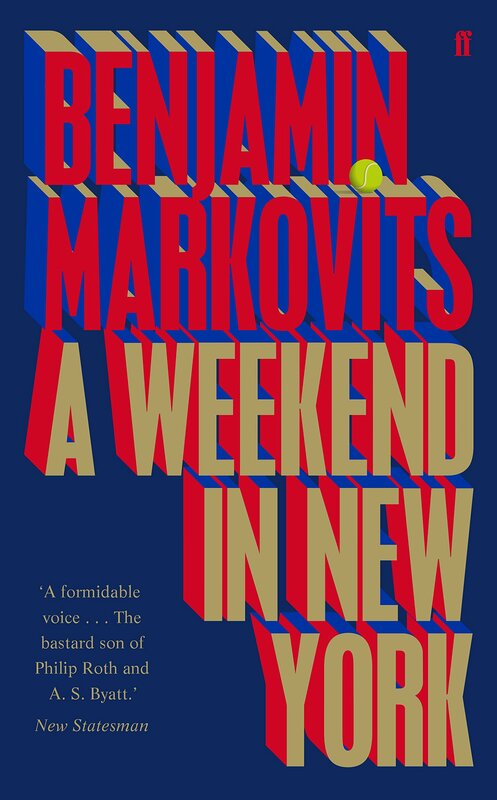 -- A Weekend in New York by Benjamin Markovits. I love everything about this opening sentence. There's so much family history and potential for future family drama packed into it. And it immediately puts me in to a world I know nothing about, the world of professional tennis. You know from this sentence that this is a world where someone can repeatedly qualify without ever winning, because if Paul won the US Open, the book would be about his family celebrating, not gathering for yet another reunion. Around her family she almost consciously regressed. It was a relief, it felt less like regression than a return to normality. The Churchillian officer and most of his colleagues managed to travel frequently by jeep to find solace in Bombay, in whose roads part of the invasion force of shipping had already anchored in preparation for the embarkation of the troops, but the rank and file were less fortunate. There was Housey-Housey, a camp cinema, and Indian prostitutes who were cheap but out-of-bounds. 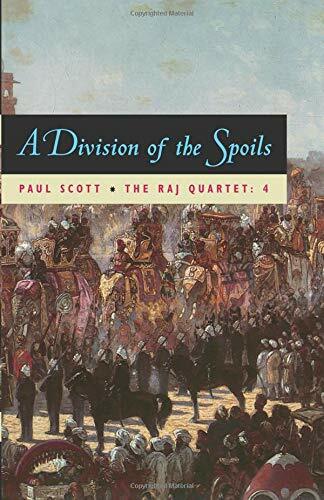 -- A Division of Spoils by Paul Scott. This is the fourth book in the Raj Quartet, a series a historical novels about the end days of British rule in India during World War II. The Quartet is followed by Staying On, which won the Booker Prize in 1977.